Description: 6.5-12.75 in. 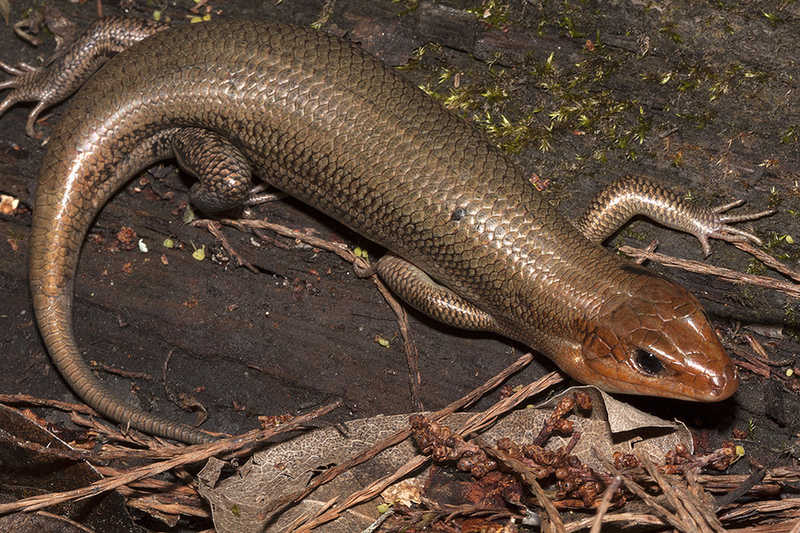 (16.5-32.4 cm) Broadhead skinks are the largest skinks in our region. Adults are usually olive-brown, and males have orange-red heads which fade by early summer. 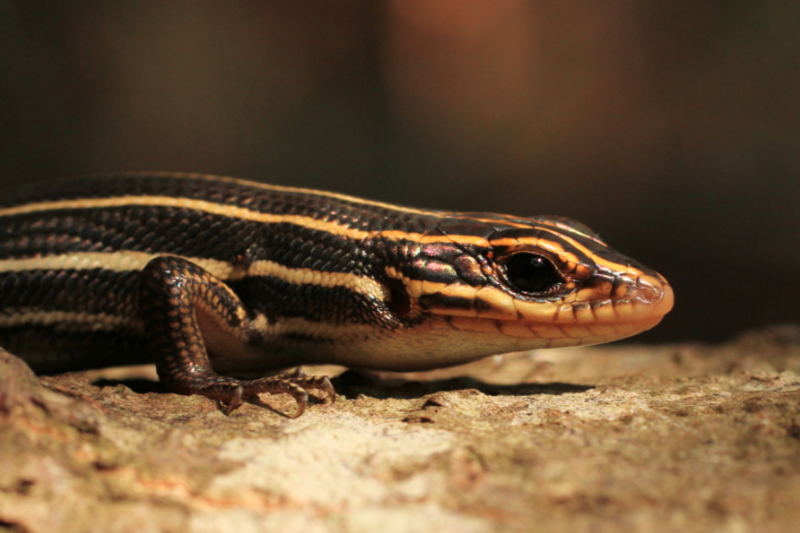 Adult females are often striped, resembling adult five-lined skinks. The young are dark brown or black with five, sometimes seven, yellow stripes and bright blue tails. 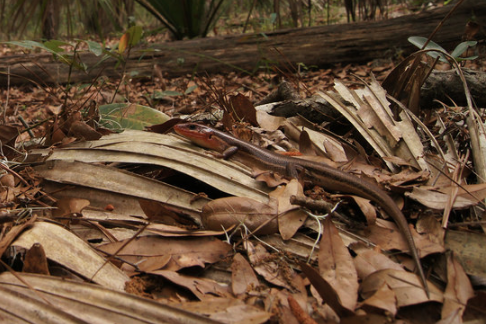 Broadhead skinks can be distinguished from five-lined skinks by larger size and five labial (lip) scales rather than four. Feeding/Diet: Broadhead skinks typically eat arthropods grasshoppers, butterflies, cockroaches, and small beetles and may occasionally eat earthworms. 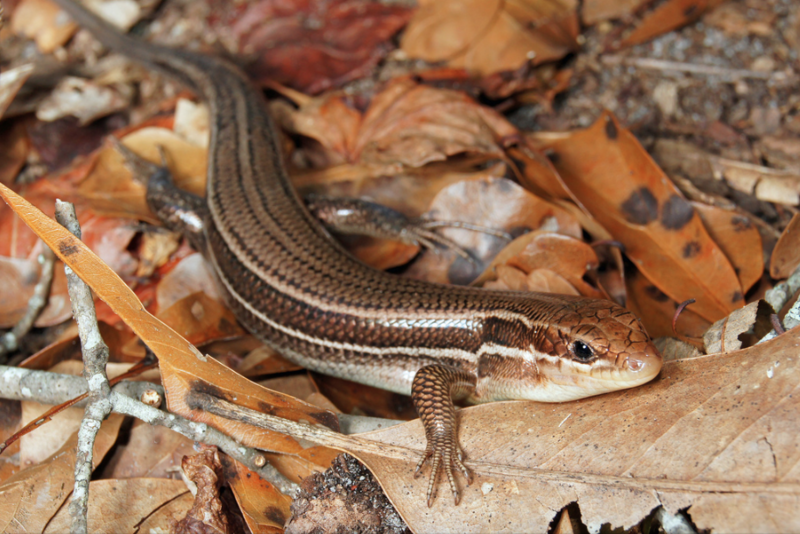 Habitat/Range: Broadhead skinks occur throughout most of North Carolina, except in the northern mountains. 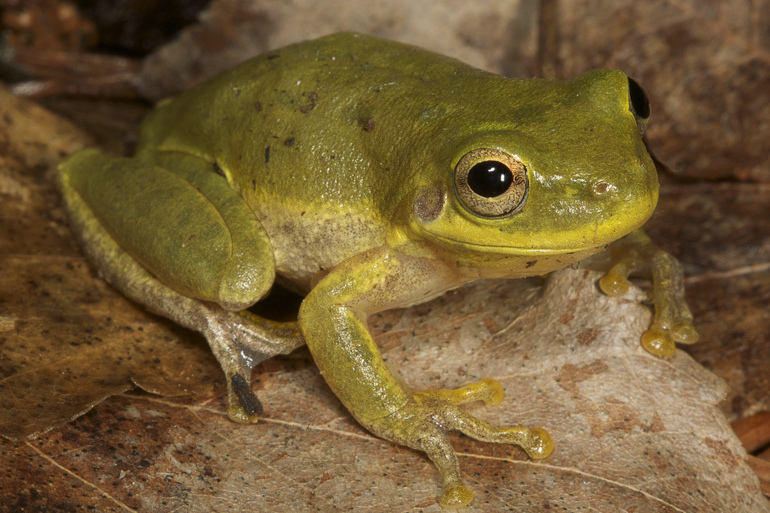 They can be found in most habitats but are most common in swamp forests and empty urban lots strewn with debris. 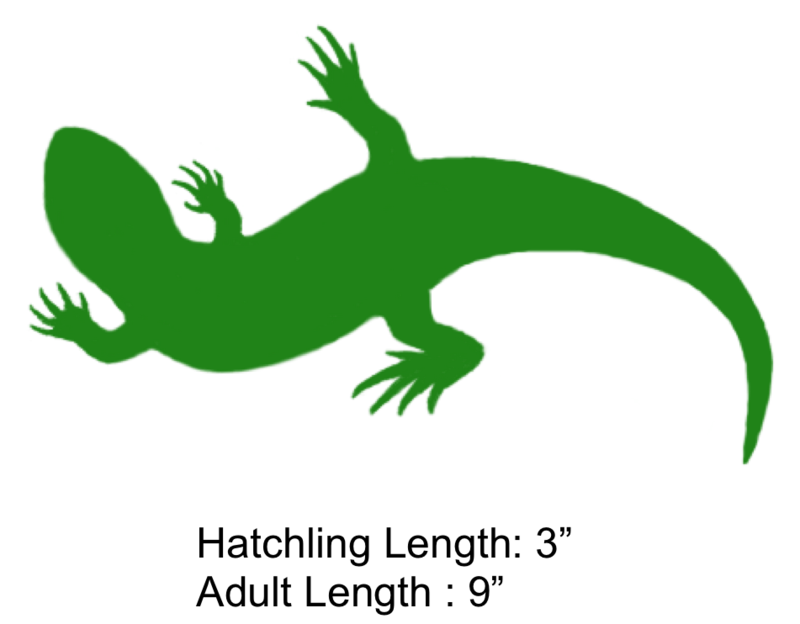 They are the most arboreal of native skinks and can often be found in branches or under bark of dead or decaying trees. Reproduction: Nests have been found in old sawdust piles, under logs, and under similar surface cover. Females lay from 8 to 22 eggs in June or July. Young usually hatch by September. The shaded region represents the range of the Broad-Headed Skink in North Carolina.